After a process that took over a year to complete, Gregg Berhalter has officially been named the new manager of the United States men’s national soccer team. ESPN reported Saturday that Berhalter had agreed to a contract that would make him the head coach of the national team through the end of the 2022 World Cup cycle. An official news conference to introduce the new manager is scheduled for Tuesday. Berhalter was seen as a frontrunner for the position throughout most of the process, during which time Dave Sarachan served as the interim manager of the team. The 45-year-old Berhalter becomes the second-youngest person ever to helm the squad, and the first former USA World Cup player to become the manager. Berhalter most recently served as the head coach of Columbus Crew SC in Major League Soccer. He guided Columbus to the MLS Cup playoffs this year, where the team lost to the New York Red Bulls 3-1 in the Eastern Conference semifinals. Berhalter is seen as a safe, conventional choice for the job of national team manager. While he is not a particularly high-profile choice, he is known as a teacher and a strong tactical coach, and his ability to get a lot out of a Columbus team that had a lower payroll than most other MLS squads could serve him well when managing an American team that is often outgunned in terms of talent when playing elite national teams from around the world. Berhalter played in 44 matches for the United States from 1994 to 2006. A defender, he played a starting role during the USA’s 2002 run that saw them reach the quarterfinals of the World Cup before losing 1-0 to Germany. 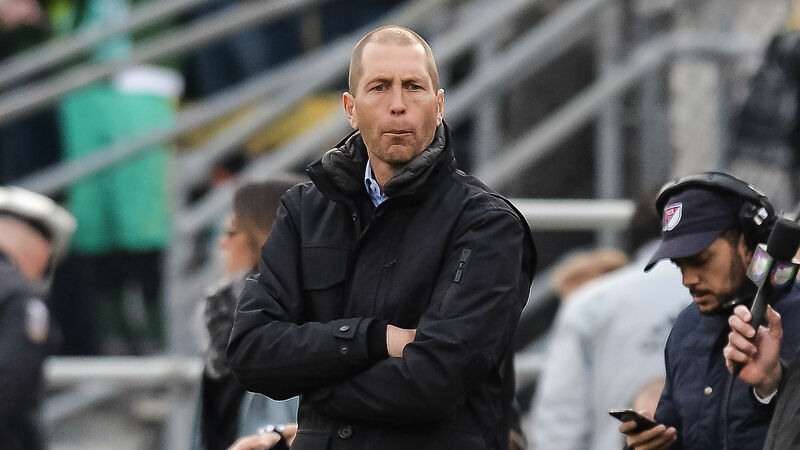 As a coach, Berhalter is known for enjoying a possession-based approach, though it is unknown whether he’ll take that philosophy over to the national team. Fans will get their first look at what his plans might be early in 2019, as the United States has a friendly scheduled against Costa Rica on Feb. 2, and is planning to schedule another friendly in late January. Berhalter will be tasked with getting the national team back on track after the USA failed to qualify for the 2018 World Cup. William Hill currently has the United States listed as a 66/1 underdog to win the 2022 World Cup, which is taking place in Qatar.